How could a book with this main title not be a beautiful book. Visually and narratively, On Beauty, by Tom Butler and Sandra Lubarsky, with principal photography by Antonio Vizcaino, presents a wonderful ode to Doug Tompkins, one of the world’s greatest conservation activists. In December 2015, Tompkins died of hypothermia after a kayaking accident, and his death “rocketed around the world.” Outside environmental spheres, people may know of him as the founder of The North Face and Esprit companies. But as On Beauty describes, he was also “the most ambitious and effective wildlands philanthropists in history,” and “perhaps the greatest citizen advocate for national park creation since John Muir.” He also preserved the land that became the largest gift of private land to the government in South America. 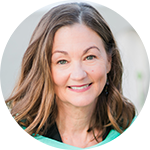 On Beauty takes us into Tomkins’ mind, life and accomplishments. It begins with a visual gallery of some of the most beautiful areas in Argentina and Chile, places he loved. And photographer Antonio Vizcaino’s amazing photos continue throughout. The prologue sets Tompkins’ philosophical tone, which still gives me pause. 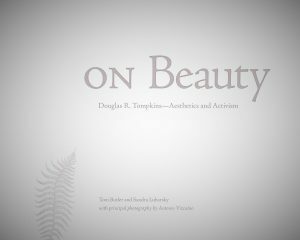 Tompkins’ thought “the idea of beauty can be a transformational force for healing a broken world.” Tom Butler, conservationist and writer who worked with Tompkins, asks provocative questions, such as, “What if each of us aimed, as Doug did, for the beautiful line, aligning the gradients of our lives with those of others? 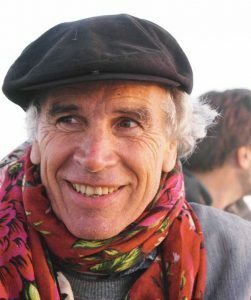 What if every person sought to embody, in the most ambitious way available to her or him, a beautiful life?” In essence, “How can we live in ways that promote beauty?” On Beauty expresses the ways in which Doug Tompkins did. In On Beauty, Butler and Lubarsky give us the story of a man who left the fashion business to become a conservation activist. For those of us in mid-life, if you’re like me, learning that he did “unprecedented conservation work during the last quarter of his life” will inspire. How some of this work manifested in book form particularly moved me as well. With Vizcaino and his wife Kris, readers get a glimpse into books Tompkins and his foundation published that document the “grandest wild places left on Earth” as a way to “use the power of natural beauty as a motivator for conservation.” But the books also look at the flipside. His foundation “strived to publish the world’s biggest, most beautifully executed coffee-table books on ugliness,” — in-your-face looks at the destruction of beauty in our world…and why humans continue to do it. It’s not that he wanted to be rid of farms. He wanted to farm right – how to go about farmland restoration to “reverse the ugliness and enhance productivity in the agrarian landscape.” And he didn’t just talk about it. He was hands-on. Many thanks to the David Brower Center for this beautiful book about an extraordinary man.